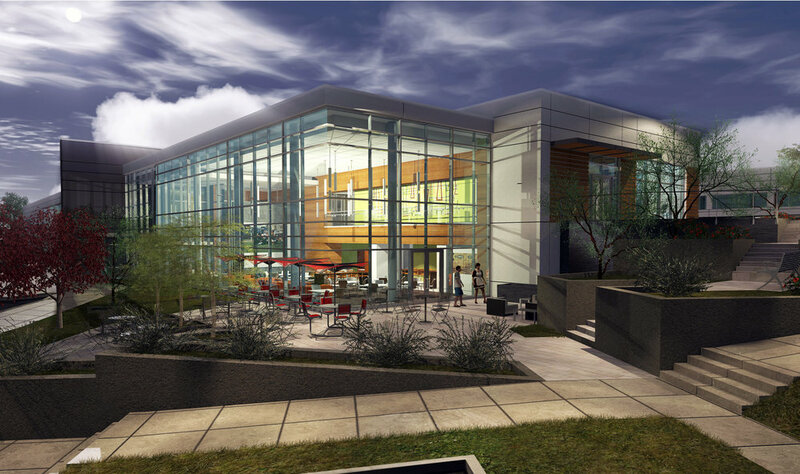 For the complete renovation and update of this 16-acre office complex, the landscape scope of work included dynamic new streetscape plantings and signage; a 14,000 square foot outdoor amenity space for the campus; and general site planting and site lighting. The outdoor amenity space includes outdoor dining and working areas; a custom Corten and stainless steel water feature; accommodation for a food truck; custom Ipe deck tree grove planters; and large terraced planters. All improvements were focused on breathing new life into this once under-leased office park. The office spaces were almost completely leased before construction even finished, a testament to the success of this project.